Sri Lanka is full of culture, history, and of course stunning sights to see! It can be overwhelming figuring out where to go and what to see first, so we are sharing a few of our favorite most sacred places in Sri Lanka. The ancient stupas of Sri Lanka are monumental structures built to honor Buddha, and are home to sacred relics. They mark areas where important events related to the religion have taken place. These monstrous yet simple structures give viewers the feeling of stability, strength, and nobility. Seeing majestic elephants is an experience of a lifetime, that you won’t want to miss! 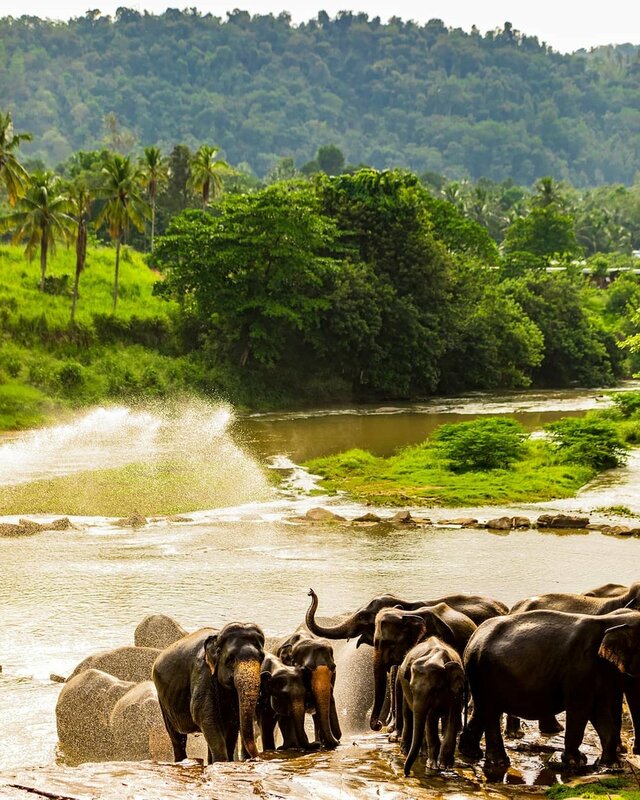 Elephant conservation has become a very important part of Sri Lankan culture, with 8,000 wild elephants roaming free, where only 10 years ago there were a quarter of that. Adventure through Pinnawala, Sri Lanka in jeeps and see dozens of huge family herds with little babies just playing and bathing. Every week the same group of ladies prune and pluck the tea plants on the vast Noori Plantation hills. They have a very intimate bond with the plants they tend to, and often the job is carried down from mother to daughter. Give it try yourself for a newfound appreciation for these hard working Sri Lankan women! The ancient kingdom in Polonnaruwa, Sri Lanka is home to the largest reclining Buddha statue. This gorgeous historic spot is filled with rich Sri Lankan culture, and by the very definition… is a sight to see! FYI don’t ever fully turn your back, dance, or make any arm gestures while standing in front of Buddha. Take a wild ride across the island in one of the most common ways of transportation, a Tuk Tuk, to see the vibrant Hindu Temple. From every angle there is something beautiful, new, and interesting to see!